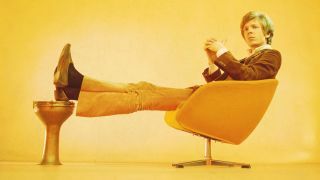 Scott Walker, one of the most influential figures to emerge from '60s pop, has died. His label 4AD confirmed the news in a statement this morning. “For half a century, the genius of the man born Noel Scott Engel has enriched the lives of thousands,” the statement reads. “From teen idol to cultural icon, Scott leaves to future generations a legacy of extraordinary music; a brilliant lyricist with a haunting singing voice, he has been one of the most revered innovators at the sharp end of creative music, whose influence on many artists has been freely acknowledged." "The scope and dynamism of his vision have added dimension to both film and dance, and he has stunned audiences with music whose composition transcends genre, and whose sheer originality defies pigeonholing." At this stage, the cause of death has not been revealed. Born Noah Scott Engel in 1943, Walker grew up in California, changing his name when he formed the Walker Brothers with John Maus, who had renamed himself John Walker. Persuaded by drummer Gary Leeds to relocate to a very-much-swinging London, the Walker Brothers broke through thanks to two massive number one hits, Make It Easy On Yourself and The Sun Ain’t Gonna Shine (Anymore). While these were covers, Scott was also writing material for the band, which disbanded in 1967. Walker's subsequent solo career was progressively more experimental over the years - The Drift, released in 2006 featured the sound of meat being punched - starting with a fashionably psychedelic edge, and ending in infrequent, but always eagerly received releases. Between solo outings, The Walker Brothers also reformed and recorded in the '70s, while Walker also wrote a number of film scores. Walker was known for his rich, distinctive baritone, and has been cited as an influence by the likes of David Bowie, Radiohead, Jarvis Cocker and Goldfrapp. The Last Shadow Puppets, meanwhile - the side project of Arctic Monkey Alex Turner and Miles Kane - borrowed so much of Walker’s schtick that it almost felt like a tribute act, and countless other artists and commentators were quick to praise his songwriting and performance skills. Thom Yorke has taken to Twitter to acknowledge Walker as "a huge influence," while Radiohead Producer Nigel Godrich has called him "one of the greats". Here’s a selection of the tributes that have appeared on social media since Scott Walker’s death was announced.